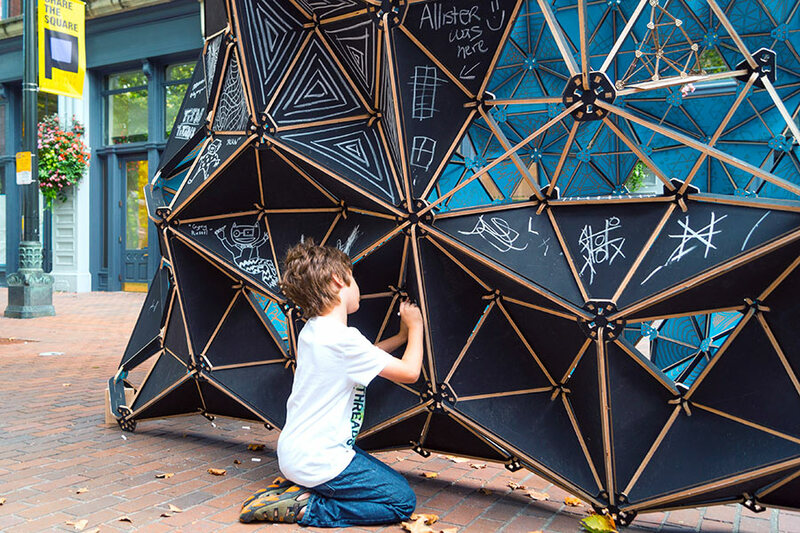 On December 6, in New York City, six jurors convened to parse the merits of the more than 250 projects submitted to AN‘s first annual Best Of Design Awards. 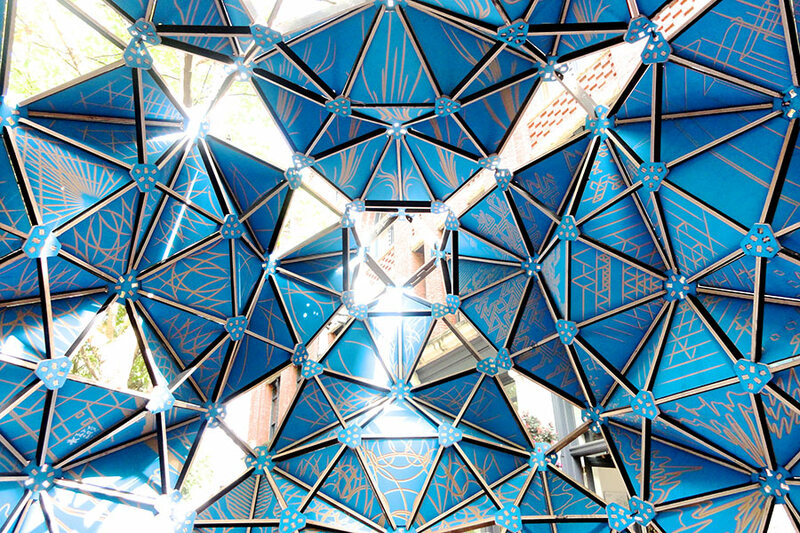 The jury included Kate Orff, principal of SCAPE; Thomas Hanrahan, dean of architecture at the Pratt Institute and principal of Hanrahan Meyers Architects; Wes Rozen, principal, Situ Studio; Mic Patterson, partner, Enclos; Dan Wood, principal, WorkAC; and AN‘s own William Menking. 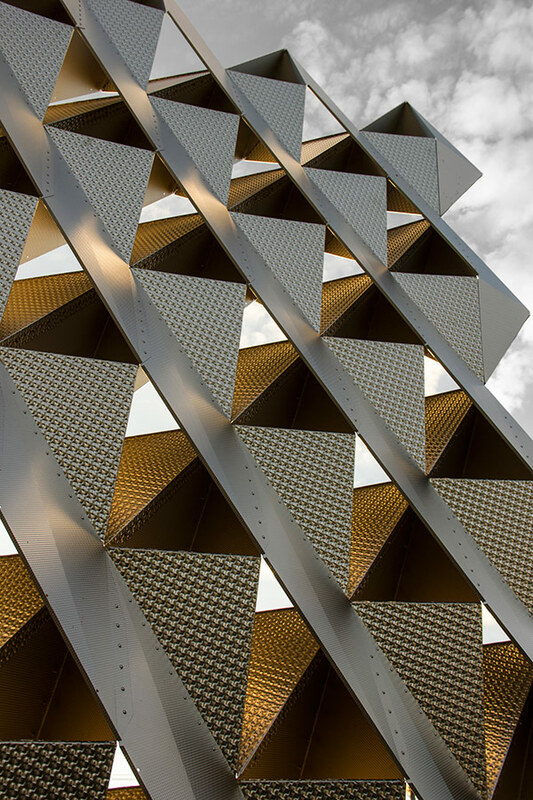 Over the next several days we will be posting their selections in six categories, starting with Building Of The Year and moving through Best Facade, Best Interior, Best Landscape, Best Fabrication Project, and Best Student Built Work. In each category the jury selected a winner and two honorable mentions. 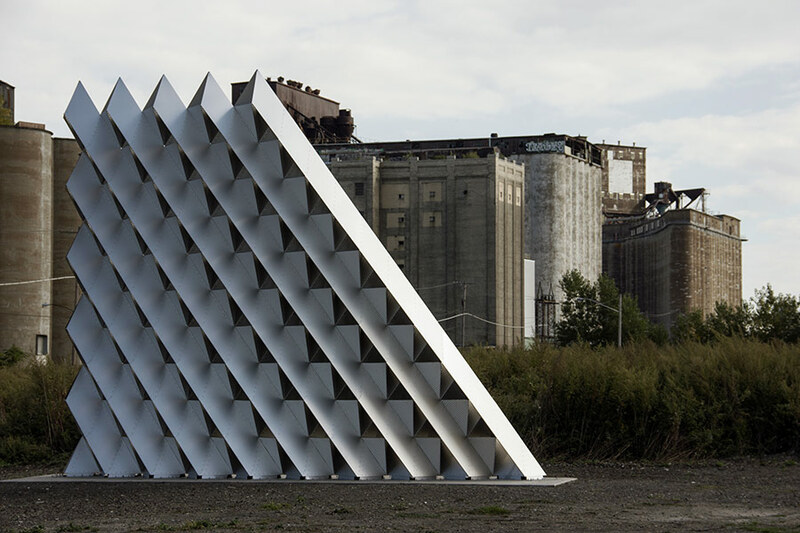 The one exception is Building Of The Year, which is a three-way tie. 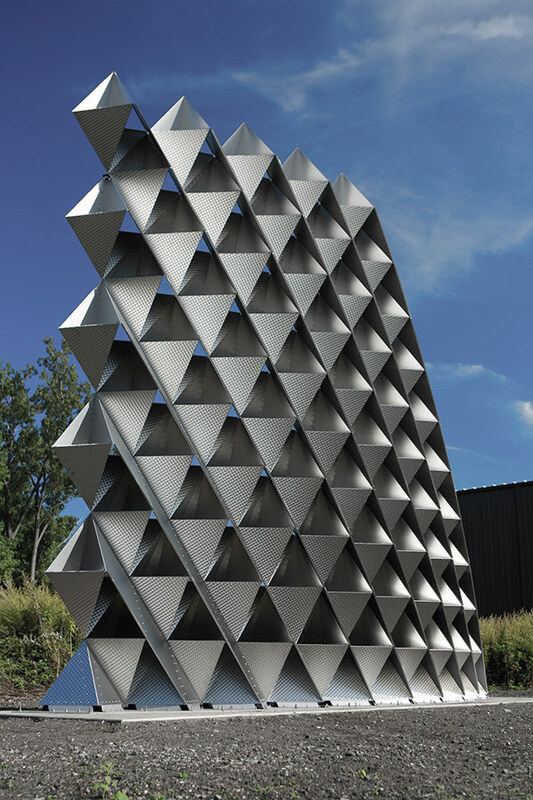 The goal of this project was to produce a self-structuring and lightweight architectural screen built entirely from thin-gauge sheet metal. 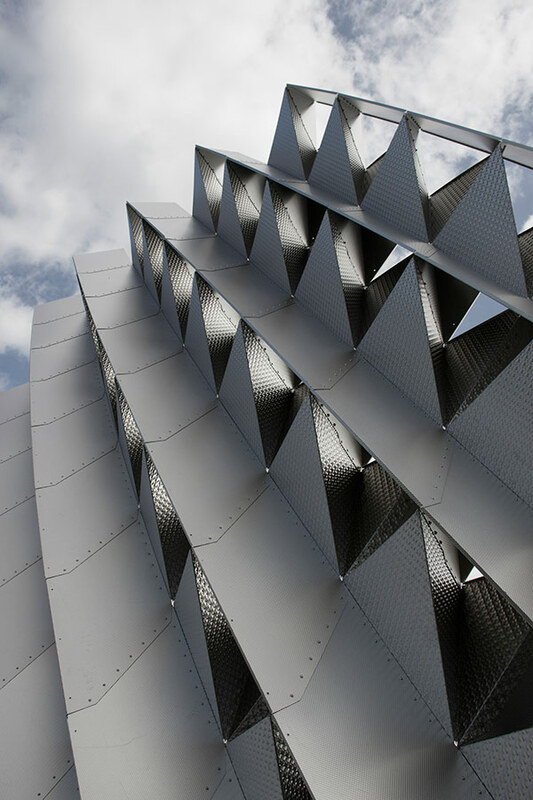 The freestanding prototype tests the performance of a rigidized stainless steel assembly (16, 18, and 20 gauge sheets) against harsh environmental conditions to investigate the potential of such a system for building envelope applications. 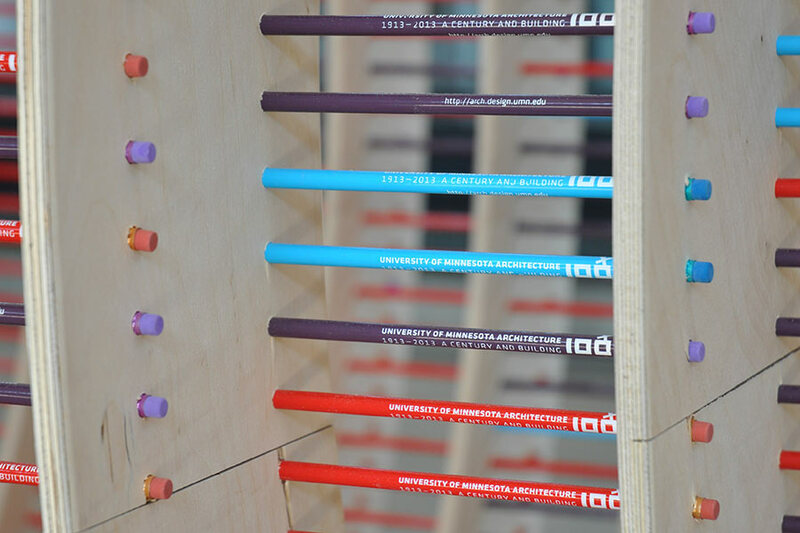 Centennial Chromagraph is a life-size representation of the University of Minnesota, School of Architecture’s hundred-year history. 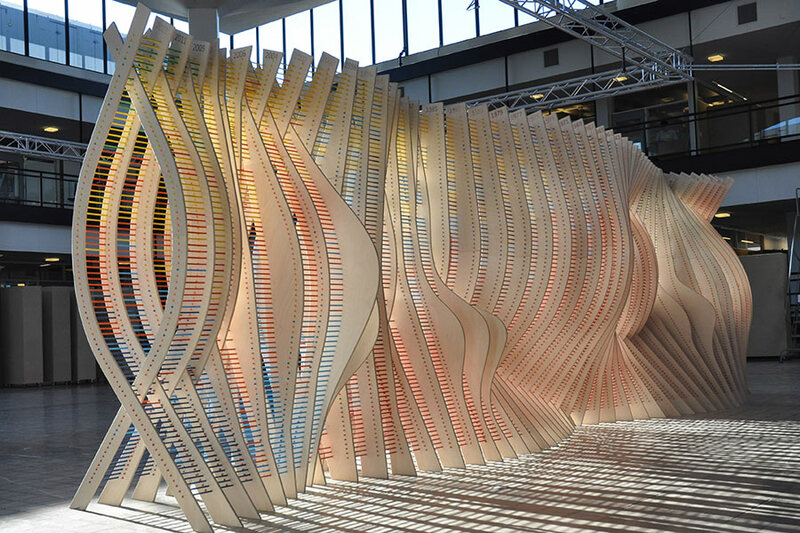 The installation consists of 100 robotically routed plywood ribs, joined together with 8,080 colorful #2 pencils. 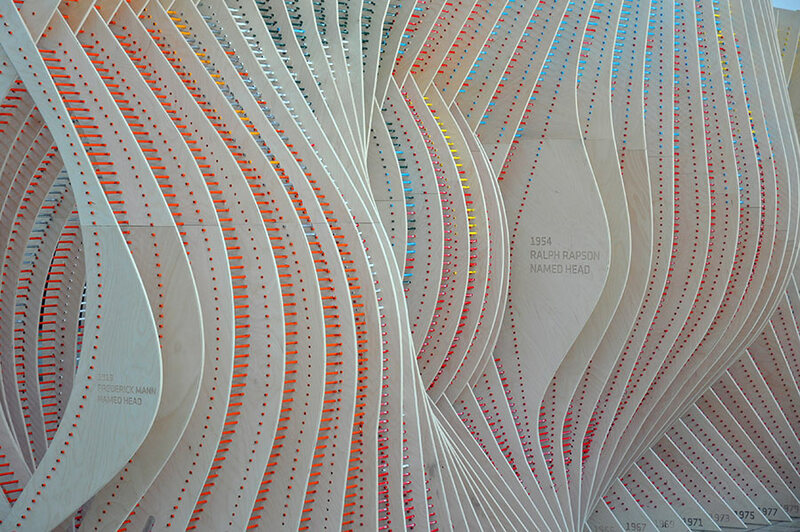 The curvature of the ribs expresses major historical eras and periods of the school—the tenures of school leadership, the buildings the program has occupied, and the colleges architecture has belonged to—while the color of the pencils reflects the changing composition of the School’s degree programs over its first century. "I love the reptilian image it suggests." 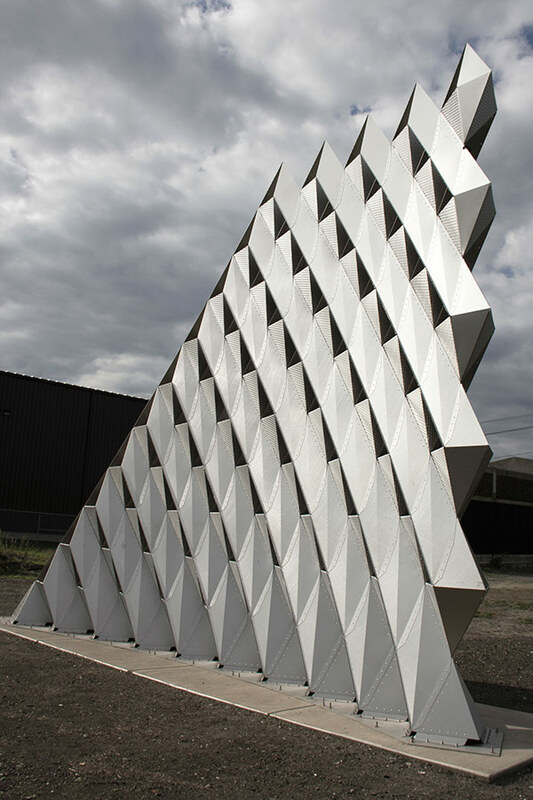 The Octahedron grew out of LMN’s desire to highlight the expanding role of computation in architectural design. 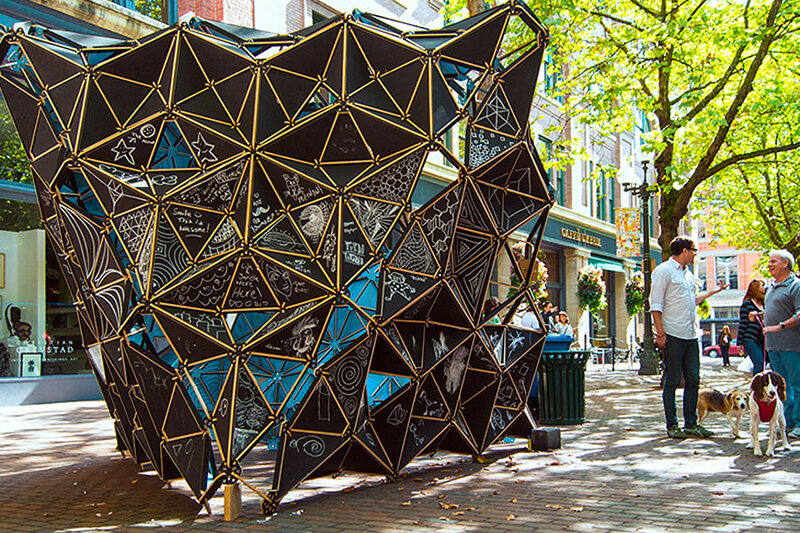 This object is inhabitable. 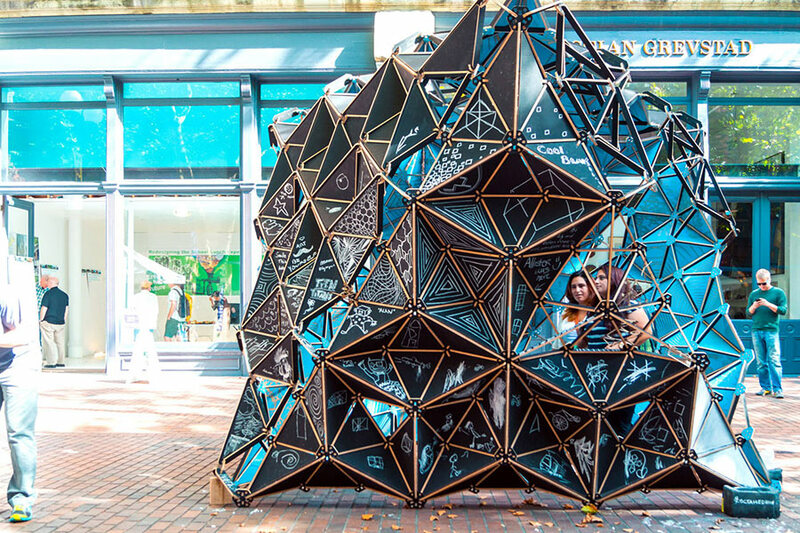 During the course of the Seattle Design Festival spectators interacted with the Octahedron by drawing on it with chalk. 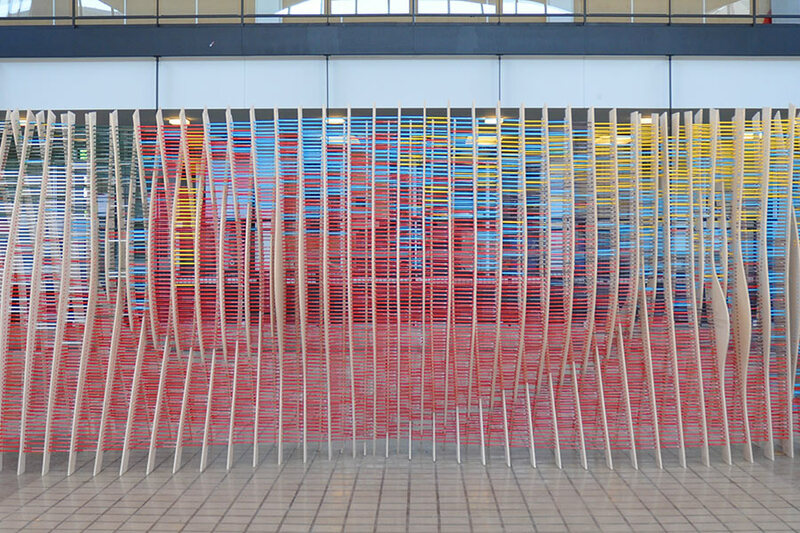 "Its use of materials is interesting. I like that you can make your own elements."